Space is always a premium, so utilizing flexible equipment in order to take advantage of every square inch of your kitchen will help in getting the most out of it. Randell is known for providing the most leading-edge standard sizes of prep tables, but what sets them apart is their modular and custom solutions that deliver the high-performance features customers demand. There isn’t a space in your kitchen these prep tables won’t call home. Having a kitchen that can adapt with your offerings in this ever-changing industry is at the top of every foodservice professional’s list. This is especially true with your food preparation in order to maintain an efficient workflow in your kitchen, while at the same time capably expanding your menu. 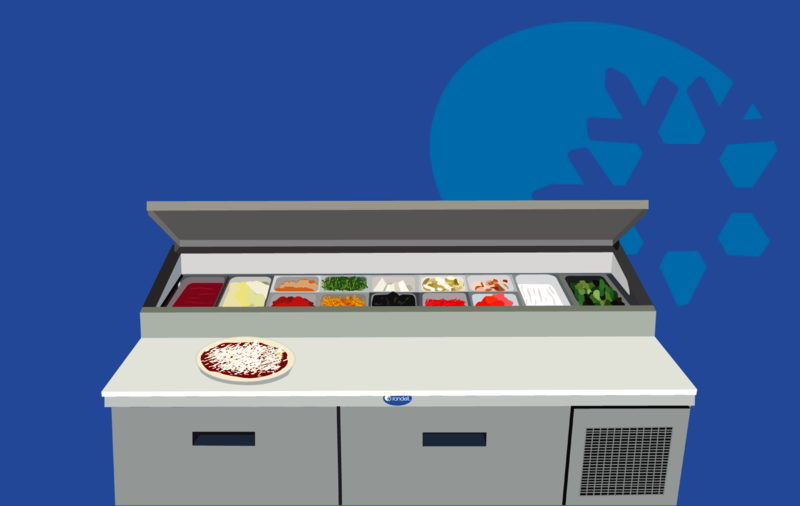 Being able to swap out and introduce new toppings for your high-volume, fast casual pizza chain is occurring more frequently than ever to keep up with the latest food trends. Or optimizing your prep table layout to be intuitive for your employees to build 12-component grain bowls as effectively as possible will contribute towards your bottom line. There’s a reason why Randell solutions are specified by some of the fastest growing fast casual chains ranging from sushi to sandwiches and salads to Mexican food! In both temperature and quality of the food items on your menu, consistency and safety are of the utmost concern. Randell prep tables are built to not only endure the day-to-day punches of high-volume foodservice operations, but they combat against the harshest environments in order to perform in operations where some prep tables just can’t cut it. 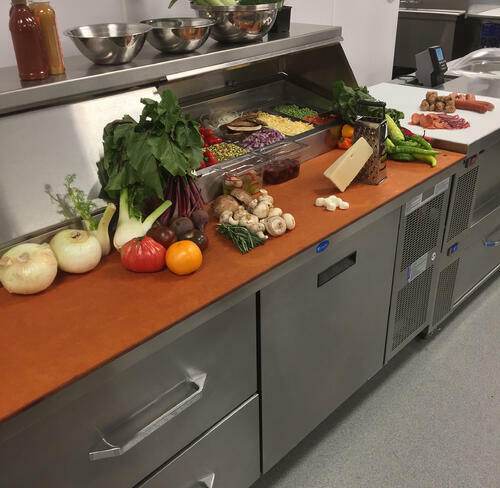 By keeping your workflow functioning smoothly while also maintaining the highest standards of freshness and safety, Randell brings reliability and efficiency to your commercial kitchen. As consumer demands continue to change and evolve it’s crucial that your kitchen has the ability to do the same. 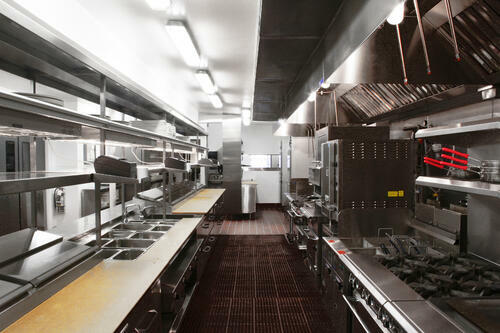 Randell solutions represent the highest levels of quality, reliability and performance in the commercial kitchen industry. Ready to give your kitchen the prep table it deserves?